Lync, networking, UC, VoIP, and some other hacks. LS Data MCU events 41025 and 41026 starting in May-June? 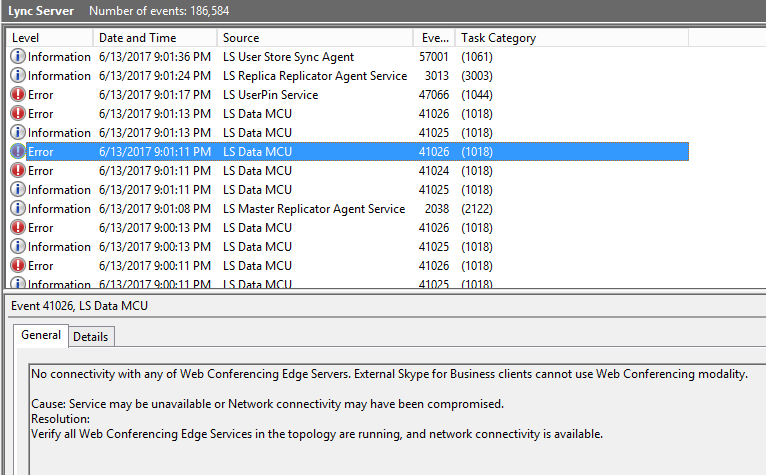 Then you’ve fallen victim of a known issue with the May 2017 .NET Framework Security and Quality Rollup affecting the Web Conferencing Service.